The jar bag for three jars! Coloured in a natural Kraft paper. The clear acetate windows cut into the jar bag allows the contents to be seen. 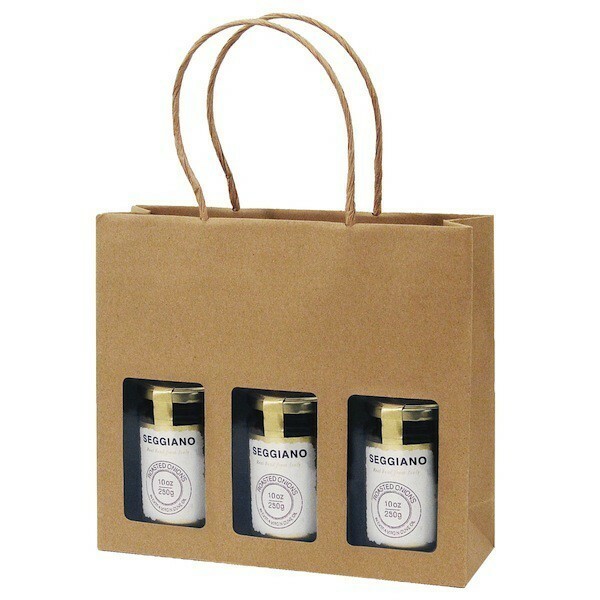 The stylish and clever handle is made from a strong twisted paper, making it both an ideal natural gift pack, or a functional small carrier. Our jar bags can be sealed with stickers or tied with a bow to turn in to an eye catching gift. The Kraft bag is made from combination of recycled and pure paper which gives it an unprocessed and organic look.